Paul said too many people are locked up for non-violent drug offenses, and in some cases, are serving life sentences. 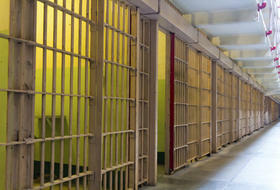 The Bowling Green Republican said diverting more offenders into treatment would help reduce the bulging prison population. "It would allow more space for violent offenders," Paul stated. "There are people who do need to be incarcerated, but a large amount of our prison population are non-violent offenders, and I think we need to find a different pathway for them." Senator Paul said there is bi-partisan support for legislation known as the First Step Act. The bill already cleared the U.S. House. The measure wouldn’t reduce how long people are sentenced to prison for, but instead focuses on incentivizing inmates to take part in rehabilitation programs, with the possibility of earlier release. Senator Paul has pushed for more comprehensive reform, including updated sentencing laws that would among other things, eliminate mandatory minimums for non-violent drug crimes. Still, the GOP lawmaker said the bill is an important piece of the puzzle. "The vast majority of people in prison will eventually get out of prison," he noted. "Do we want them to go back to a life of crime, doing the things that got them in prison, or do we want to give them some skills in prison?" Some opponents say the bill doesn’t go far enough while others say the measure could disenfranchise poor and minority inmates. The poll was commissioned by the Justice Action Network and taken by Public Opinion Strategies. Five hundred registered Kentucky voters were questioned by phone August 21-23.